Below you fill find all funeral homes and cemeteries in or near Austell. Zip codes in the city: 30106, 30168. Cobb County funeral flowers can be purchased from one of the local funeral shops we partner with. In 1984, Tara Garden Chapel opened in Jonesboro, Georgia. The 18,000 square foot facility, built in a southern colonial style, features a beautiful stained-glass windowed chapel and large reposing rooms and is situated on four acres. Some of the notable people born here have been: Adam Everett (baseball player), Destiny Whitlock (actor), Gerald McRath (american football player), Terrence Campbell (american football player), and Tanner Blaze (actor). It was noted on March 20th, 2019 that Julia Paul (Carroll) passed away in Austell, Georgia. Ms. Paul was 90 years old and was born in Raleigh, NC. Send flowers to express your sorrow and honor Julia's life. It was disclosed by The Times on September 13th, 2018 that Theodore Cletus III "Ted" Hunt passed away in Austell, Georgia. Hunt was 67 years old. Send flowers to share your condolences and honor Theodore Cletus III "Ted"'s life. It was noted on September 12th, 2018 that Mary Lou Brown (Jordan) died in Tampa, Florida. Ms. Brown was 100 years old and was born in Austell, GA. Send flowers to express your sympathy and honor Mary Lou's life. It was disclosed on May 22nd, 2018 that Anna May Davis (Parmalee) passed away in Austell, Georgia. Ms. Davis was 87 years old and was born in Newark, OH. Send flowers to express your sorrow and honor Anna May's life. It was disclosed on April 28th, 2018 that Constance "Connie" Crouch (Ratleff) perished in Austell, Georgia. Ms. Crouch was 84 years old and was born in New Orleans, LA. Send flowers to share your condolences and honor Constance "Connie"'s life. It was written on January 24th, 2018 that Mary McClain (Henry) perished in Austell, Georgia. Ms. McClain was 89 years old and was born in Mathiston, MS. Send flowers to express your sorrow and honor Mary's life. It was written on May 20th, 2015 that Stella Juanita Bolden (Shumpert) died in Austell, Georgia. Ms. Bolden was 86 years old and was born in Rison, AR. Send flowers to share your condolences and honor Stella Juanita's life. It was written on November 12th, 2014 that Ruth Brown (Flowers) passed on in Austell, Georgia. Ms. Brown was 82 years old and was born in Peoria, IL. Send flowers to express your sorrow and honor Ruth's life. It was revealed on July 19th, 2014 that Mary Helen Keithley perished in Austell, Georgia. Keithley was 80 years old and was born in Des Moines, IA. Send flowers to express your sorrow and honor Mary Helen's life. It was written by The News Tribune on September 19th, 2013 that Lawrence Mack Beavers passed away in Washington. Beavers was 80 years old and was born in Austell, GA. Send flowers to share your condolences and honor Lawrence Mack's life. 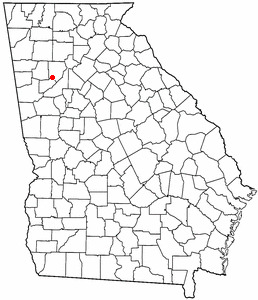 Austell is a city in Cobb County, Georgia and Douglas County, Georgia counties in the US state of Georgia (US state) The population was 5,359 at the 2000 United States Census census. . . . . The official website for the city of Austell is http://www.austellga.gov. Funerals in Austell, GA on Yahoo! Local Get Ratings & Reviews on Funerals with Photos, Maps, Driving Directions and more. funerals in Austell, GA 30168 on Yahoo! Local Get Ratings & Reviews on funerals with Photos, Maps, Driving Directions and more. Listing all funeral homes in Austell, Georgia so you can easily send flowers to any location (same day delivery) or find any funeral service. We work with local florists and flower shops to offer same day delivery. You will find budget sympathy flowers in Austell here. Our funeral flowers are cheap in price but not in value.